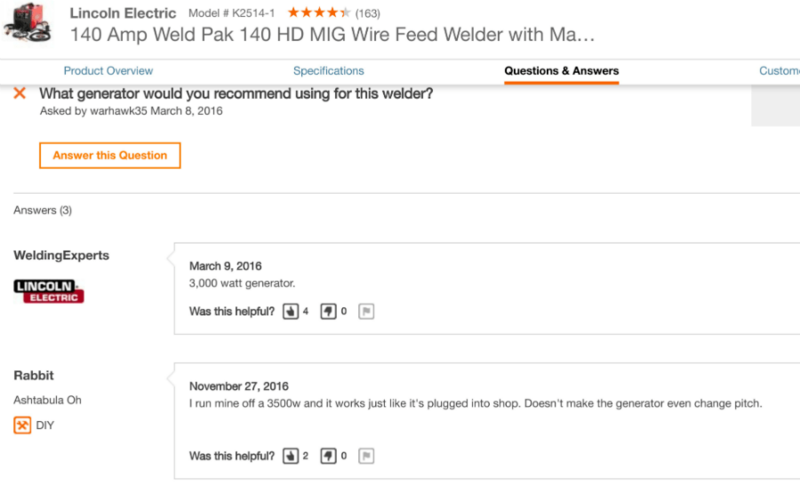 Read any Lincoln 140 MIG welder reviews and you'll see how popular they are with hobbyist and DIY'er welders. But are you clear about the differences between the Lincoln 140 vs 140HD vs 140C MIG welders? How about Weld-Pak®, MIG-Pak®, Easy-MIG® and PRO MIG® branding? 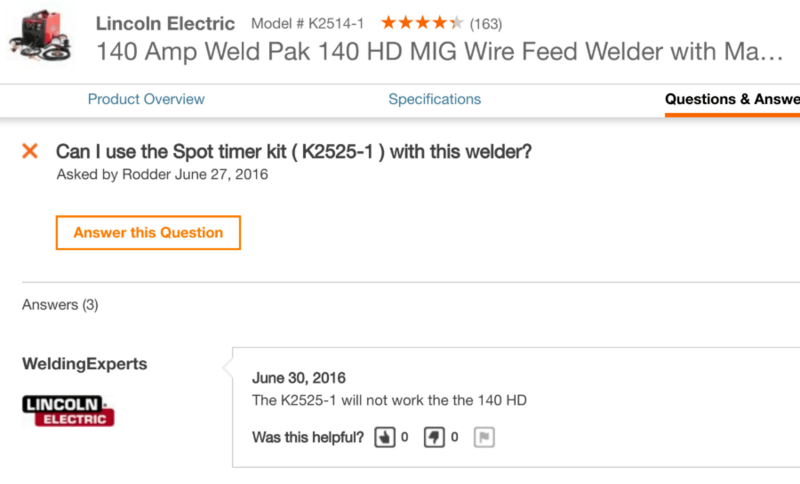 Most Lincoln 140 MIG welder reviews don't address model differences. Quality transformer-build makes it on the heavy side. Easy to use and dependable for the hobbyist. Aluminum capable. Somewhat pricey. Premium components and price. Best for frequent users. Excellent control on thin materials, including aluminum. Heavy, but still portable. So, while you're probably familiar with this welder, you may still have questions. We can help. We’ve done the research. After reading this review, you’ll know exactly what differences there are between the models. You'll also be clear about what each 140 model can do. 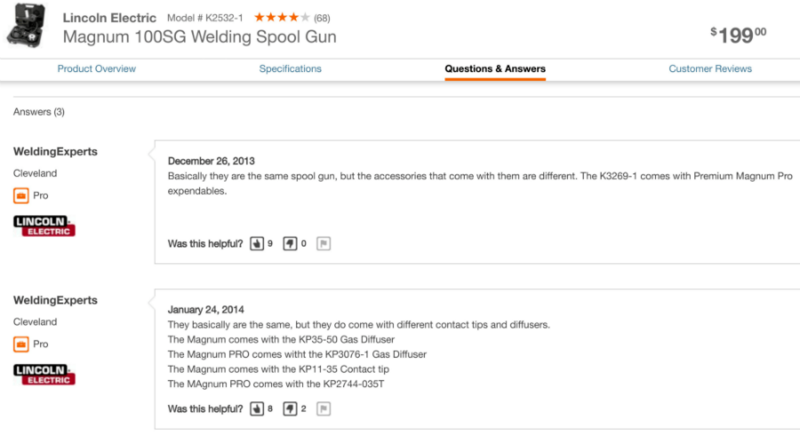 This review will help you know if a Lincoln 140 MIG is the right welder for you. Lincoln 140HD vs 140C - How do they compare? What is Lincoln’s Diamond Core Technology™? Then and now: How has the 140HD changed? Can I weld aluminum with the Lincoln 140? Does the Lincoln 140 weld stainless steel? Can I use an extension cord with the Lincoln 140? Will a Lincoln 140 MIG welder run off generator power? Much of the confusion around Lincoln 140 welders is because Lincoln Electric offers two distinct versions. Both share similar specifications and appearance. But one uses upgraded components and a carries a higher price tag. 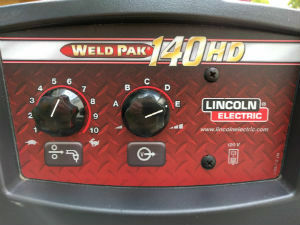 Most Lincoln 140 MIG welder reviews treat each brand name as a unique model. But, again, all the retail Lincoln 140 MIG welders are identical. See for yourself. 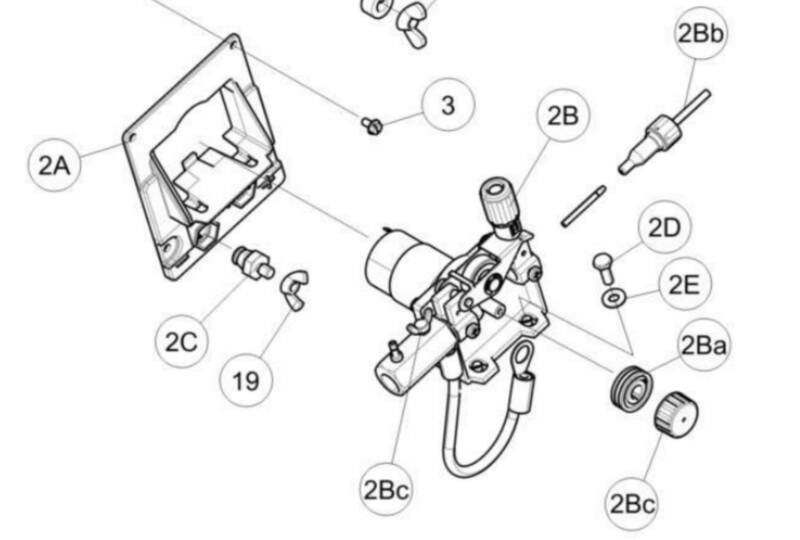 In our Lincoln 140 Quick Guide, you can compare model specs and part assemblies. Fully adjustable drive system reduces the chance of wire tangling and crushing. Brass-to-brass gun connection enhances conductivity. Durable cast aluminum gear box delivers added drive torque and quiet operation. Easy-turn numeric drive tension indicator identifies optimized ranges for different wire diameters. Forgiving arc makes dialing in your application easy. Smooth arc starts with minimal spatter. 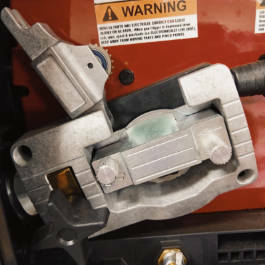 Wide 30-140 amp welding output range. MIG weld 24 gauge up to 3/16 in. (4.8 mm) sheet metal in a single pass. Weld up to 5/16 in. (7.9 mm) steel using self-shielded Lincoln Electric Innershield® (FCAW-S) wires. Harris® 3000290 Gas Regulator (S25805) and 52 in. (1.3 m) hose (S19303) for use with Ar/CO2 blend gases. For use with CO2 shielding gas, order a Lincoln Electric S19298 CO2 shielding gas bottle adapter. Local welding suppliers and online merchants sell an upgraded model. It's known as the Lincoln Power MIG 140C. And sometimes it's referred to as the "commercial" model. The Lincoln 140C MIG welder's appearance resembles the lower-priced retail machines, as do its specifications. 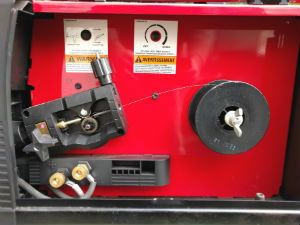 But look inside this premium welder, and you'll find improvements to the power source, wire drive and voltage control. For clarity in this article, we’ll refer to the retail model as the 140HD and the upgraded unit as the 140C. Diamond Core Technology™ – Delivers a forgiving arc, excellent out-of-position arc action, low spatter and a wide voltage sweet spot at a given wire feed speed for steel, stainless steel or aluminum. Industrial Cast Aluminum Drive – Dual gear-driven drive rolls deliver positive traction. Patented split wire guides ensure optimal wire alignment and a brass-to-brass gun connection aids critical conductivity. A large industrial closed-design drive motor improves torque and enhances trouble-free performance. No Hassle Tool-less Design – For input power changes, wire spool mounting, wire drive service and polarity changes. Spool Gun Ready – Just remove the standard MIG gun and plug in the economical Magnum® PRO 100SG spool gun (optional) for enhanced aluminum wire feeding performance. Toughest PC Board Protection in the Industry – “Potted” to seal sensitive components from the environment, “trayed” in a tough plastic tray to add rigidity and shock resistance. Both retail and commercial versions of the Lincoln 140 MIG welder are proven, transformer-based welders. They produce up to 140-amps of power running from a 120V, 20A household circuit. Both run flux-core, or solid wire with gas, in 4-inch or 8-inch rolls. In this chart, we take a side-by-side look at the Lincoln 140HD, and the Lincoln 140C. We've highlighted the differences for you. Lincoln Electric knows a wire feed system can make or break a MIG welder. So, they're not taking any chances with sub-standard drives in their 140 MIG welders. Lincoln equipped both the 140HD and 140C with sturdy metal wire feed drives infinitely adjustable from 50 to 500 inches per minute. While the specs are the same, Lincoln uses a different drive in each model. Lincoln 140HD cast aluminum wire drive. The 140HD model includes a rugged cast-aluminum 2-roller gearbox. Only one roller is gear-driven, but the adjustable tension control allows you to dial in a smooth feed, without crushing the wire. This reduces feed issues. Lincoln 140C industrial cast-aluminum wire drive. 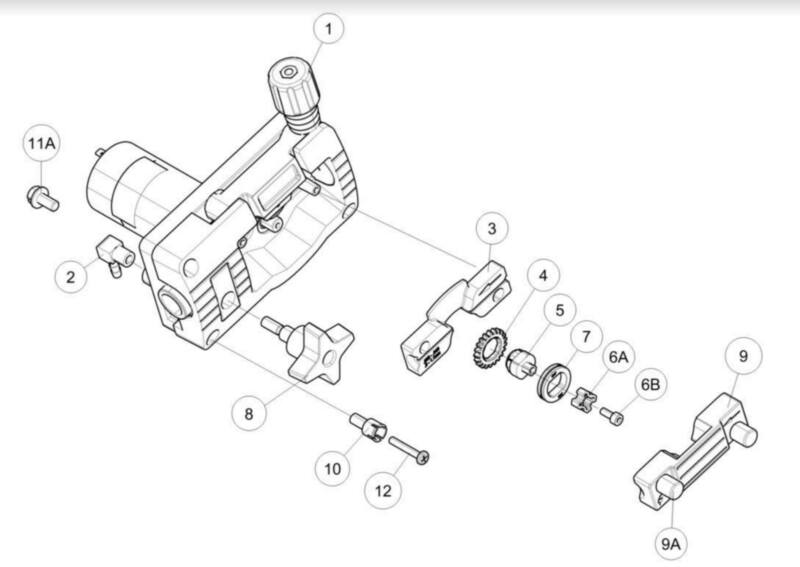 An upgraded, fully adjustable industrial wire feed drive is a central component of the Lincoln 140C. This beefy, cast-aluminum drive is a two-roller unit, with both rollers gear-driven. The driven rollers get a better grip on the wire with less tension needed to push the wire along. Again, the less the wire gets squeezed, the less it distorts. It won't bind and vary speed on its way through the liner and gun. Lincoln even provides two-piece wire guides. You'll swap these, along with the drive rollers, for different wire diameters. Although you'll have an added step when changing wire, it's a quick, tool-less process. It’s well worth the trouble, so your .025” solid wire doesn't flop around inside .045” guides. These upgraded components combine to give the Power MIG 140C a premium wire feed system. A reliable wire feed gives you a stable arc, and an improved welding experience. Only four heat settings are available on the Lincoln 140HD. You'll rely on wire speed adjustments to fine-tune your weld settings. To be fair, Lincoln does provide an accurate settings chart, so you'll start out close with most materials. A little nudge up or down to wire speed is usually all that's needed to dial it in. With Lincoln welders, you won't find that a change to wire speed inversely affects heat output or vice versa. This issue, common among lower-priced welders with weak power supplies, makes fine-tuning difficult. Do you weld a lot of thin sheet metal? Or, are you the type of person that appreciates full control of your welder? You'll be happy to know that Lincoln equipped the Power MIG 140C with infinitely adjustable voltage control. Also handy for thin metal work, the optional K2525-1 spot timer is available for the Lincoln Power MIG 140C. Unfortunately, this option won't work with the 140HD model. A sealed (potted) and ruggedized PC control board is a feature of the Lincoln 140C, protecting this expensive component from contamination and shock. The standard, open PC board in the Lincoln 140HD doesn't seem to suffer an unusual rate of failures. But, it's a good idea to remove the cover to occasionally blow out dust and debris pulled into the machine by the cooling fan. Lincoln's top welders, such as the 140C, have Diamond Core Technology. It gets an upgraded power source to provide automatic inductance control. This delivers in an EXTRA smooth and stable arc. I stress "extra" because even the non-Diamond Core 140HD produces a nice, easy to weld with arc. Lincoln's Diamond Core Technology further improves on this with the 140C. Variable inductance will help you make better welds no matter your skill level. It's especially beneficial on thin materials, and ideal if you're doing auto body work. There is a small trade-off for this excellent light-material performance. When in MIG mode, the Power MIG 140C carries a slightly reduced rating for thicker materials, as compared to the non-Diamond Core 140HD model. "Diamond Core Technology™ – Delivers a forgiving arc, excellent out-of-position arc action, low spatter and a wide voltage sweet spot at a given wire feed speed for steel, stainless steel or aluminum." When I read this, I'm thinking better welds and an improved operator experience. Lincoln's 3-year parts and labor warranty protects your Lincoln 140 series MIG welder. Exclusions to this warranty apply to the MIG gun (90 days) and gas regulator (one year). Wear and tear to cables is not included. If needed, get warranty service through Lincoln Authorized Service Facilities. You're responsible to get the welder to the service provider, so you may want to check out service locations near you, before you buy. Lincoln does offer a solid warranty on par with many manufacturers. But, you will find stronger guarantees by others. For example, Hobart covers its MIG guns up to a year and most components for three years. The expensive internals, including the transformer, gets five year, parts and labor, protection. Forney and Everlast offer their welders with similar 5-year limited (5/3/1) warranties. I have and still use my first welder, a Lincoln Weld-Pak 140HD, purchased from Home Depot in 2008. I came in with zero welding experience, but needed to make quick repairs to equipment used in my business and for various home projects. Fewer choices existed at that time. I wanted a portable welder to run 120V power, that was reliable and hassle-free. With my lack of experience, I needed something easy to learn. After a little research, a MIG machine became the clear choice for me. 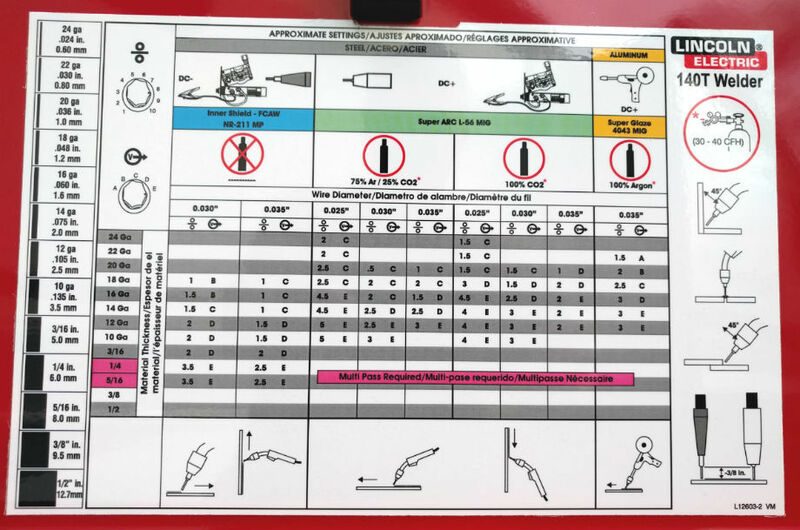 The MIG process is, by design, simple to learn. It's also ideal for beginners and occasional welders, because you don't need a lot of skill to produce reliable welds. Read why MIG welders are the best for beginners. No other 120V welders had more power than the Lincoln 140, and I recognized Lincoln as a quality brand. Plus, it came packaged with everything I needed to make my first repairs. It had flux-cored wire, gloves, mask, wire, training manuals and videos. I think it was all under $500, but may have been more. I expected the welder to pay for itself with reduced repair labor and downtime costs. The Weld-Pak 140HD exceeded my expectations. This welder makes nice welds using Lincoln’s NR-211-MP flux-cored wire. This gasless setup is so convenient and portable that I always keep the welder loaded with this wire. It’s satisfying to be able to knock out simple repairs in minutes, due to the Lincoln 140HD’s portability and easy setup. This welder has never let me down. It's had moderate use, along with a lot of time riding in the back of a pickup. Other than replacing consumables, the only maintenance has been blowing dust and debris from the wire drive, liner, and internal components. I do wish the torch trigger was less sensitive. I've wasted a lot of wire or had an unexpected spark, when I accidentally grabbed, and held, the trigger while wearing gloves. In other Lincoln 140 MIG welder reviews, owners have commented about this issue. Also, quite a few owners reported problems with the trigger connections. They would shift inside the gun causing erratic operation. Good news, there is an easy fix. My older 140HD used a plastic wire drive gearbox and wire tension arm. It's made of a sturdy plastic and has given me no issues. But, I have heard of others experiencing drive problems including broken tension arms. It is nice to see that Lincoln has upgraded its new 140 models to all-metal wire drives, including the tension arms, eliminating this issue. Some owners complain that the cooling fan, which runs anytime the welder is on, is too loud or makes a whining sound. Mine has never whined, but it is loud enough that you know it's on. It's never bothered me. Manufacturer-supplied duty cycles rarely reflect real-world use. But Lincoln's rating for the 140 of 20% @ 90A, seems conservative to me. Now, I don't build bridges with this welder, but I've worked on many 3/16" repairs using flux-cored wire. These repairs often involved a lot of time spent filling, and building up, damaged areas. I rarely had the welder shutdown. At least for me, the operator's duty cycle was always a less than the machine's. If you want to handle bigger jobs without going to a 240V machine, some of the more efficient inverter welders are claiming 60% @ 90A, or 100% @ 70A, duty cycles on 120V power. At 50 to 58 pounds, Lincoln 140 MIG welders are portable. But compared to 25-pound inverter welders, they're not exactly lightweight. The weight is not an issue if you always use your welder on a cart. If you're often on the move, you can one-hand a lightweight inverter machine out of a pickup bed. Most of us can't do that with something the size of a Lincoln 140. Overall, Lincoln has made today's Lincoln 140HD an even better value. Almost all hobbyist welders get the bug to repair, or modify, some aluminum item they own. Or, maybe it's building a custom project, such as a lightweight ATV or motorcycle ramp. Trying to weld a tricky material such as aluminum without a spool gun is usually an exercise in frustration. Even the best wire feed drives struggle to smoothly push soft aluminum wire all the way to the torch to provide a stable arc. Aluminum is both highly conductive and very soft, so your welding heat must be spot-on. Aluminum will absorb and dissipate a lot of heat but apply too much, and you’ll quickly blow through your material. A spool gun temporarily replaces a standard torch and includes an integrated drive roller and motor. It holds a small spool of wire and feeds it a few inches to the contact tip. This short feed distance enables reliable delivery of the soft filler material, giving you a stable welding arc. Fortunately, all versions of the Lincoln 140 are compatible with Lincoln’s Magnum 100SG (K2532-1) or Magnum Pro 100SG (K3269-1) and make excellent light-gauge aluminum MIG welders. These are mainly the same guns with different contact tips and diffusers. 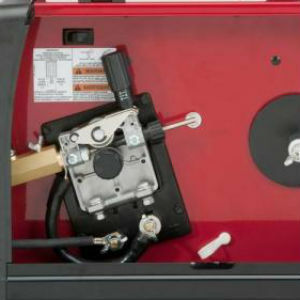 The retail 140HD comes ready with a factory-installed spool gun switch and wiring harness. Flip the switch, swap your standard MIG gun and cable for the spool gun loaded with .035” 4043 wire, and switch to 100% argon gas to weld 22 gauge (.0253”) up to 10 gauge (.1019”) aluminum material. 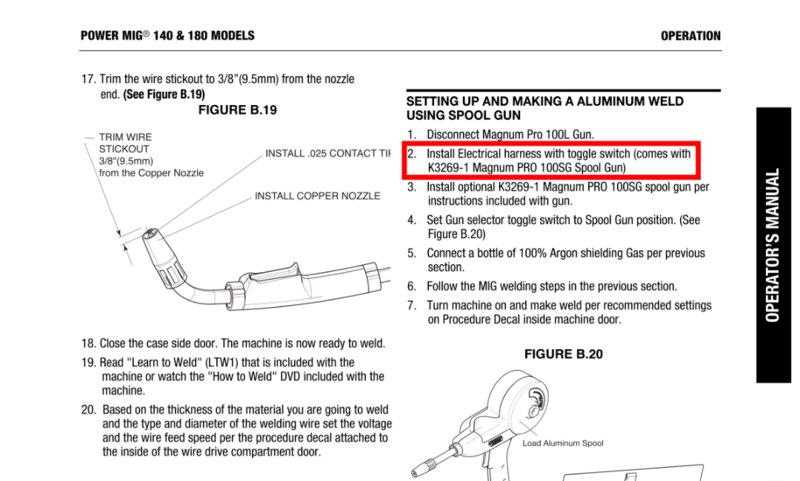 Before using a spool gun with the Power MIG 140C, you'll need to install a spool gun switch and wiring harness kit (included with K3269-1). Installation involves connecting two internal plugs and mounting the switch inside the wire feed compartment. With .035” 4043 wire and 100% argon shielding gas, the 140C handles aluminum from 22 gauge up to 12 gauge (.0808”). The extra arc stability of the 140C’s Diamond Core Technology should be helpful with thin-gauge aluminum. You may think these are very light aluminum capabilities. Well, you’re right — all well under ⅛”. Because aluminum is such an excellent conductor of heat, a lot of power is required. If you want to work with heavier aluminum, check into 240V MIG welders. Lincoln rates the Lincoln 210MP for up to 3/16” aluminum. Yes, with all Lincoln 140 MIG welders a tri-mix shielding gas, such as 90%Helium/7.5%Argom/2.5%CO2, is recommended. Use the settings for carbon steel, but you may need to dial it back a bit for the best results. Yes, the Lincoln 140HD and 140C MIG manuals recommend a 12-gauge or heavier cord up to 50 feet in length. I use an extension cord of these specs without issues. Yes, Lincoln recommends at least a 3000-watts. My 140HD runs well on a 5500-watt generator. Easy-to-use and reliable, Lincoln 140 is ideal for small shops, farms, homeowners, hobbyists, and artists. Especially for those working mostly ​from one location with 120V power. You'll get excellent results welding steel under 3/16", and aluminum under 12-gauge. If you consistently work on heavier materials, you'll want to look into a 240V welder. The Lincoln 210MP is a versatile multi-voltage MIG welder, sharing the premium wire feed drive of the Lincoln 140C. And it weighs only 40 pounds! While more expensive than the 140C, the 210MP is an attractive option. It was chosen as one of the Best MIG Welders for the Money. Need a more mobile welder? The Everlast iMIG140e uses a similar wire drive to the 140HD but is half the weight to carry to remote job sites. With the variable inductance of Diamond Core, infinite voltage control, and the industrial wire drive, the Lincoln 140C excels at light-gauge sheet welding. It holds up to more frequent use in small businesses. It's also ideal for those of you wanting a premium, trouble-free, welder for the long-haul.